In our attempts to promote ourselves, our brands, teams or organisations, there is a sweet spot somewhere between being a Subdued Wallflower and being a Spiky Thistle. We don’t want to be the shy, unnoticed bundle of fear in the corner, and we certainly don’t want to become the brash in-your-face-noise-machine who talks at everyone and connects with no one. The irony of these behaviours is that they both require considerable effort. 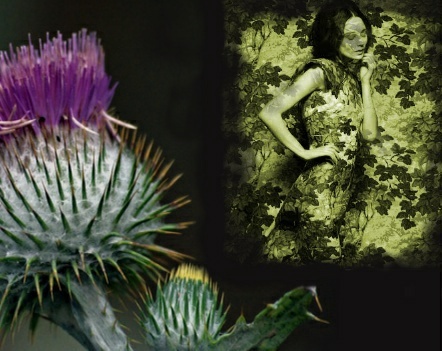 Being a ‘subdued wallflower’ trying to blend in, avoid engagement and remain unnoticed uses as much energy as the ‘spiky thistle’ who tries too hard to stand out! Added to this, both inevitably fail to get the job, the contract, the promotion or the second date and their efforts have been in vain. Somewhere in between these two extremes there is plenty of room for you. The ‘you’ that comfortably and naturally speaks with integrity and authenticity. Being memorable is not about being different. It is about being yourself – successfully and comfortably. Think about it – we are often ‘not ourselves’ when we are stressed, under pressure, poorly prepared and uninformed. These are the times when we lack self expression, have no impulse control and say things that are inappropriate and lack any sense of empathy or rapport. On the other hand, when we are within our chosen circle of family and friends, we have nothing to prove and can be ourselves. We are recognised and acknowledged for who we are, what we know and how we bring value to people’s lives. This is the ‘you’ others love to listen to, work with and focus on. You often hear people talking about the very simple and effective triad ‘Know Yourself, Be Yourself, Express Yourself’. Variations of this philosophy have formed the basis for many Development and Leadership programmes. Why? Because a quietly confident person, who is ‘comfortable in their own skin’, is a valuable and irresistible asset to any social or corporate community. For thousands of years we have known what skilled communicators, performers and athletes look and sound like. With the developments in neuroscience, positive psychology and emotional intelligence, that clearly define how successful communication and performance works, being ‘ourselves’ – even in unfamiliar or challenging circumstances – is now within touching distance for anyone who wants to shine as a parent, a teacher, a leader or any kind of role model. ‘Knowing Yourself’ is a journey, and the information we now have at our disposal makes the transition from understanding to behaviour a much smoother, faster and more rewarding process. In 2011 the sale of smart phones officially overtook the sale of desk top computers. The world really has changed and our ability to filter and process information has dramatically advanced. Unfortunately some people still try to teach communication techniques popular in the 1980s / 90s, and prolong the culture of ‘spin’. Thankfully we are now quick to recognise the dishonesty of these falsities, and all around the world we have seen some powerful politicians, bankers and bureaucrats challenged and removed from their positions of authority. The way your brain works and manages your emotions, responses and behavioural patterns is equally as important as the way your body and voice becomes the vehicle to outwardly express the thought processes that go on in your head. When my colleagues and I prepare to work with groups and teams from the education, commercial and governance sectors, we put great emphasis on helping each participant easily manage their brain, body and voice so that they can engage, interact and promote with a natural grace that fits perfectly in the space between ‘subdued wallflower’ and ‘spiky thistle’. We can help you find that space. On Thursday 2nd August, Terry Small and I will be co-delivering our half day seminar “The Smart Savvy Leader”. In less than three hours, we will give you a special overview of the very latest information on how to run your brain, your voice, your teams and your business in ways that stimulate the modern, contemporary human. So whether you are a Leader of a Youth Group wishing to inspire and motivate, an Executive in a Global Organisation who needs to develop a higher performing team, a Small Business Owner wanting to define your brand brilliantly, or simply someone who wants to be better at what you do, please join us and discover why thousands of people in 23 countries around the world have already found success with our brain boosting and vocal intelligence techniques and insights. Click here to find out more and book your seat.